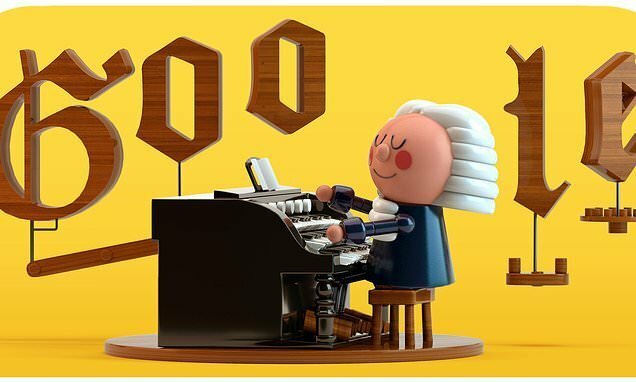 ‘With the press of a button, the Doodle then uses machine learning to harmonize the custom melody into Bach’s signature music style (or a Bach 80’s rock style hybrid if you happen to find a very special easter egg in the Doodle),’ the firm wrote in a blog post. 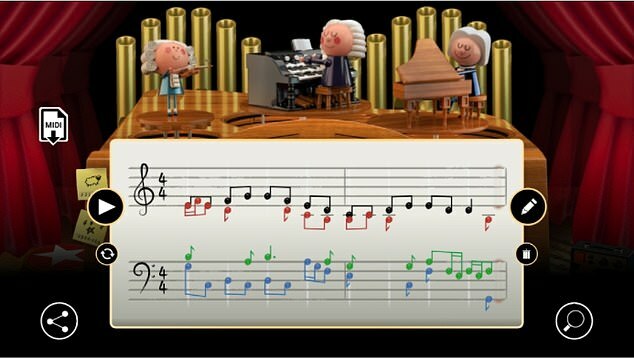 To develop the AI Doodle, Google teams created a machine-learning model, called Coconet, that was trained on 306 of Bach’s chorale harmonizations. ‘His chorales always have four voices, each carrying their own melodic line, while creating a rich harmonic progression when played together,’ the firm said. 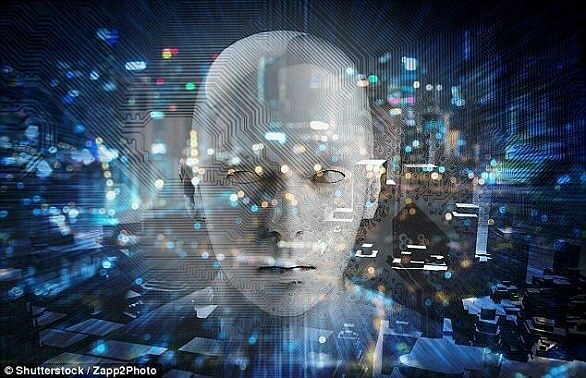 Google engineers said they trained these machine learning models to spit out ‘polyphonic music in the style of Bach. 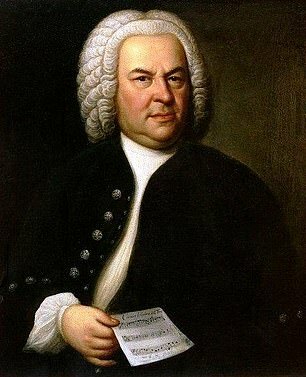 ‘Coconet is trained to restore Bach’s music from fragments: we take a piece from Bach, randomly erase some notes, and ask the model to guess the missing notes from context,’ according to a blog post on Google’s Magenta unit, which oversees AI projects related to music and art. Users can change they key of the music or its tempo and then share their creation with friends or download it for listening later on. Additionally, there’s a special hidden feature in the animation that transforms Bach into a 1980s rockstar. Users just click on the mini amplifier next to the keyboard to turn on the synths.